It’s increasingly clear that sustainable fisheries globally is unachievable without Japan and China at the table. As nexuses in global seafood supply chains, the sustainable seafood movement has begun honing efforts in Japan and China. Rightly so; Japan is the leading market (by value) for seafood globally and China the leading exporter (by value) of seafood. In most all major seafood related statistics these two countries are leaders, trailing only the United States and the European Union. 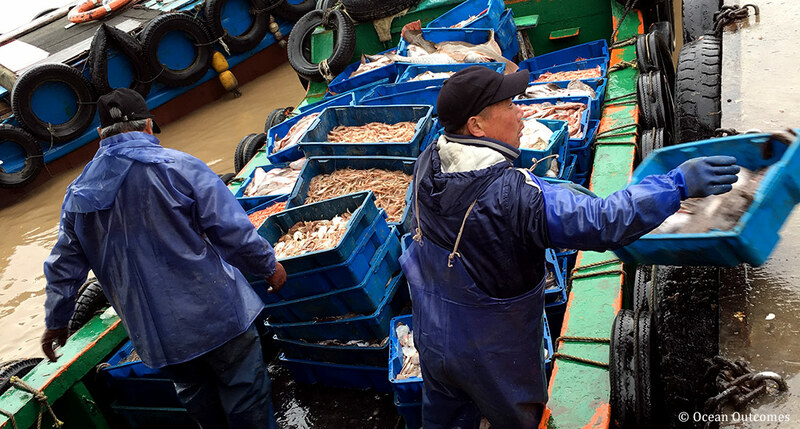 Given such a significant portion of seafood is either consumed, produced, or passes through Japan or China, opportunity abounds for regional fisheries improvement work to have impactful and far-reaching results. And we’re leading the way. We’re excited to announce we’ve brought on three new team members who will help us scale up our work in China and Japan through fishery improvement project implementation, fishery assessments, policy development, and anti-IUU initiatives. In China we’ve doubled our on the ground capacity by bringing on Fenjie Chen, a fisheries scientist fluent in Mandarin, Japanese, and English. As our China Fisheries Program Manager, Fenjie will lead our FIP implementation and fisheries science assessment work in China. This includes managing FIPs, executing fisheries research, and clearly articulating the status of East Asian fisheries through the development of Seafood Watch reports on behalf of the Monterey Bay Aquarium. As we continue to expand beyond our salmon roots, we’re working in regions and with species which require new strategies. Daniel Suddaby, who we’ve brought on as our Policy Director, is just the person to develop these strategies. An established leader in the sustainable fisheries movement, he has managed WWF’s global engagement in tuna fisheries, provided strategic direction to WWF international on seafood engagement strategy, and improved the credibility of fishery assessment and review processes within the Marine Stewardship Council. As our Policy Director, Daniel will expand our portfolio of work, collaborating closely with our regional program teams to improve understanding and implementation of sustainable fishery management policies. We’re expanding our IUU work by bringing on Shannon Cosentino-Roush as our IUU Program Officer. Shannon will help grow our IUU work from on-the-ground implementation of traceability and monitoring, control, and surveillance (MCS) measures, to further reaching supply chain policy-based initiatives across East Asia, where a lack of effective import regulations and obsolete fisheries policies are creating loopholes for IUU product to enter global seafood supply chains. Shannon has a JD and Master in Environmental Law and Policy from Vermont Law School and past experience with NOAA, the United Nations Food and Agriculture Organization, and the Nordenfjeldske Development Services Africa and Stop Illegal Fishing project. As year three at Ocean Outcomes begins, we’re better equipped than ever to help fisheries become more sustainable, and to help forward thinking groups working in sustainable seafood deliver on their goals. It’s going to be a good year.